Darling Harriet, taking a minute to cool down. It's hot in Georgia! Off again she goes, Harriet is very athletic and a real delight to the farm. 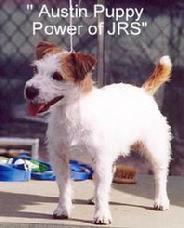 Dam: Josie of JRS (Open Agility Champion) 1st AKC fss Russell Terrier in history to title in Agility. Harriet's a Tri colored, broken coated female standing 11' tall. Personality Plus all the way! 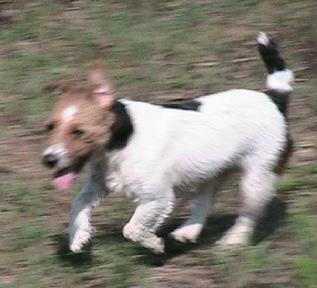 Registered AKC fss, & UKC (Conformation Pointed). 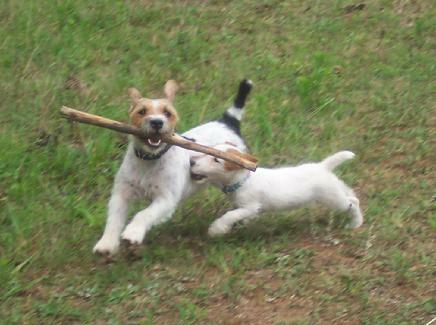 Agility, Obedience and Conformation plans. 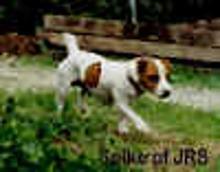 "Co-owned with Joyce Kennedy of JRS Russell Terriers"
Sire: "GRCH Quest of JRS" (FS Spike of JRS x FS Bailey of JRS). Grandsire: "FS Spike of JRS" Champion producer! Also line bred with our stud male "Tartan Plaid". Granddam: "FS Bailey of JRS", Champion producer! 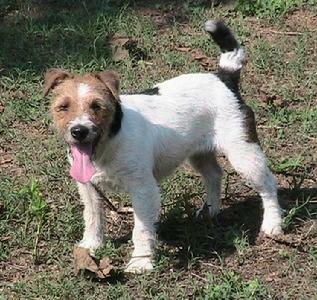 Also Linebred Great Granddam of our stud dog "Tartan Plaid". 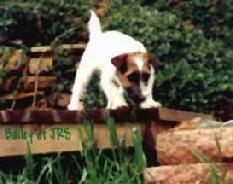 "CH Austin Puppy Power of JRS" Full sibling/littermate to Harriet, and Grandfather to "Flushing Pheasant Tartan Plaid". 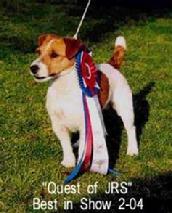 (GRCH Quest of JRS x CH Josie of JRS).